Ok, so - playing with textures here. 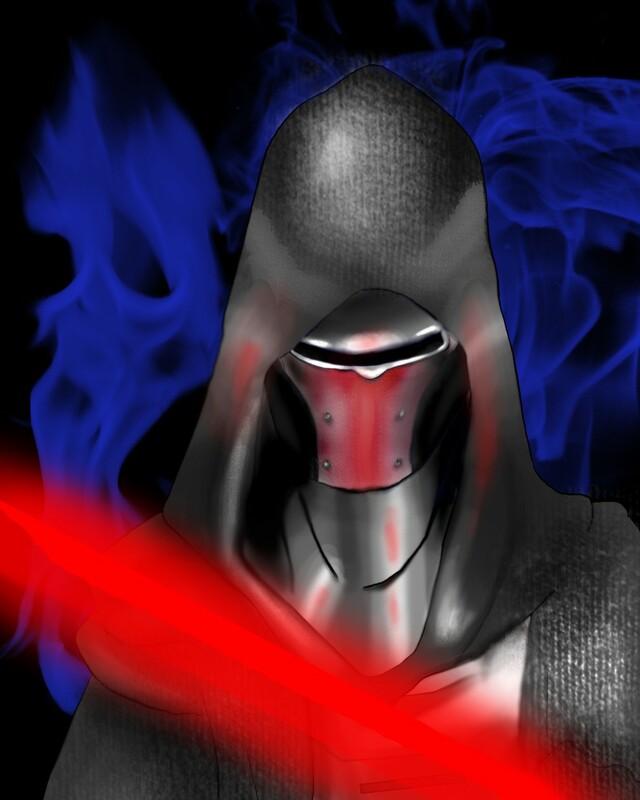 I chose Darth Revan from KoToR, for he is extremelly detailed. I love Revan to death (or at least, Male!Revan). *sigh* more people need to draw him here. hee. and you nearly bit my head off when i used the moon brush WHICH YOU ALSO USED. AFTER REALIZING IT'S FULL POTENTIONAL GEE WIZ HOLY MONKEY CHEESE, BATMAAAAAAAAAAN!! GAHAHAHAHAHAHAH SO I WAS RIGHT, GAHAHAHAHAAAAAAAAAAA!!!! By the way do you have any idea what became of Raven? you mean Malak, or that one apprentice from Force Unleashed? Also, Kotor IS for the Mac. the apprentice. i loved the SH*T out of that game. Well, gee. You're in quite a pickle, aren'tcha? That's ok. I'm trying to kiss up to my dad in order to obtain the Black Addition of O-Holy-Game-Of-The-Assassin. Yes, kissing up always gets us what we want doesn't it? I just kissed up to mom 'bout the 360 so i guess ill keep my hopes up. The glow on the blade is most excellent. Great, great work.